We are involved in manufacturing and supplying a qualitative range of Distribution Block. These are designed and developed from finest quality components and following international industrial standards. 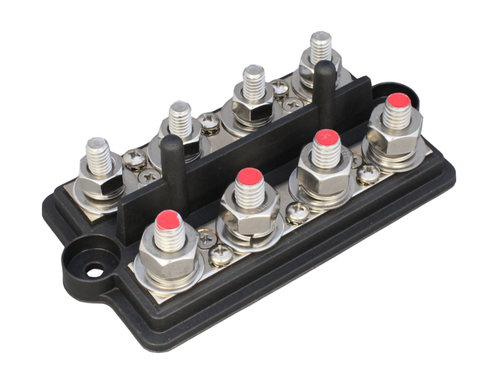 With the availability in various standard sizes, dimensions, and specifications, these distribution blocks ensure consistent performance and high functional efficiency. Dynamic Engineering Works is specialized in manufacturing Industrial and Marine Engine Components as per customer's drawings and specifications. We can manufacture a wide range of components such as shafting, sleeves, gears & bushings. We also undertake manufacture of fabricated items. Dynamic Engineering Works is Specialized in Manufacturing Industrial and Marine Engine Components as Per Customer'S Drawings and Specifications.